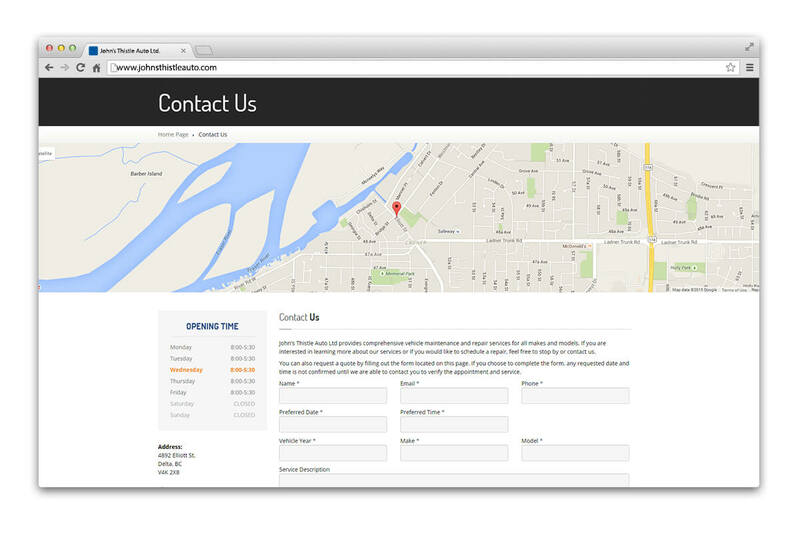 John’s Thistle Auto | NetClimber Web Design Inc.
At John’s Thistle Auto, customers are valued, so they needed a website for client online appointment scheduling, newsletters, maintenance tips, and reminders. 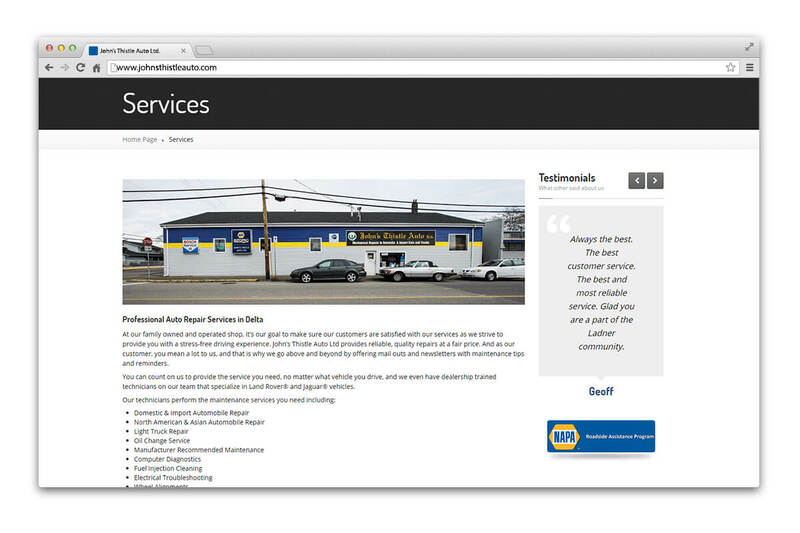 The website needed to reflect John’s Thistle Auto’s brand, and had to be user friendly. Using WordPress allowed NetClimber to provide all these requirements to the client. We used the Carpress theme and tailored the theme to match their brand.